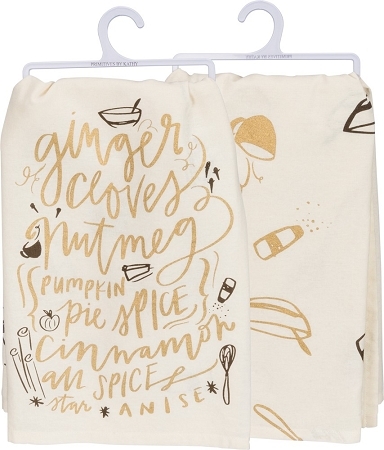 A double-sided cotton dish towel for the fall lending "Ginger - Cloves - Nutmeg - Pumpkin Pie Spice - Cinnamon - All Spices - Star Anise" metallic sentiment with mixing bowl, mixer, coffee mug, pie, and spice designs. Machine-washable. 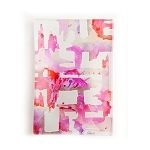 Makes a great accent for your kitchen as well as a unique gift.